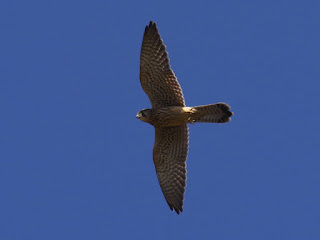 Two Kestrels were hunting over Buck Hill. 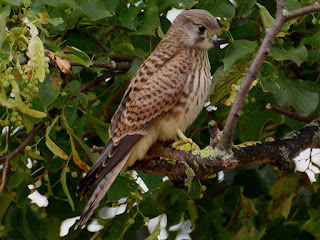 Julia thinks she may have seen a third Kestrel on Buck Hill, but is not sure as they move around quickly and keep disappearing behind trees. If so, it might be the adult female's mate. 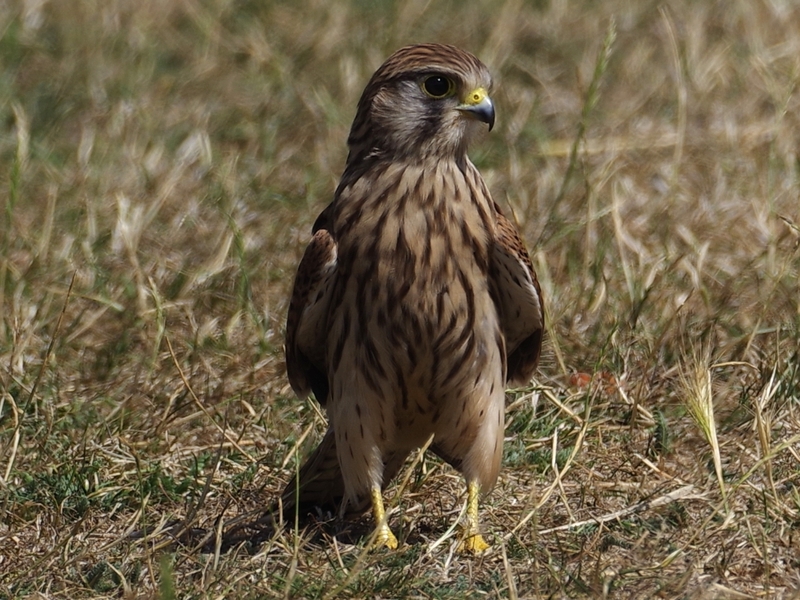 A Kestrel's strong legs are not just for seizing prey, but for sprinting. 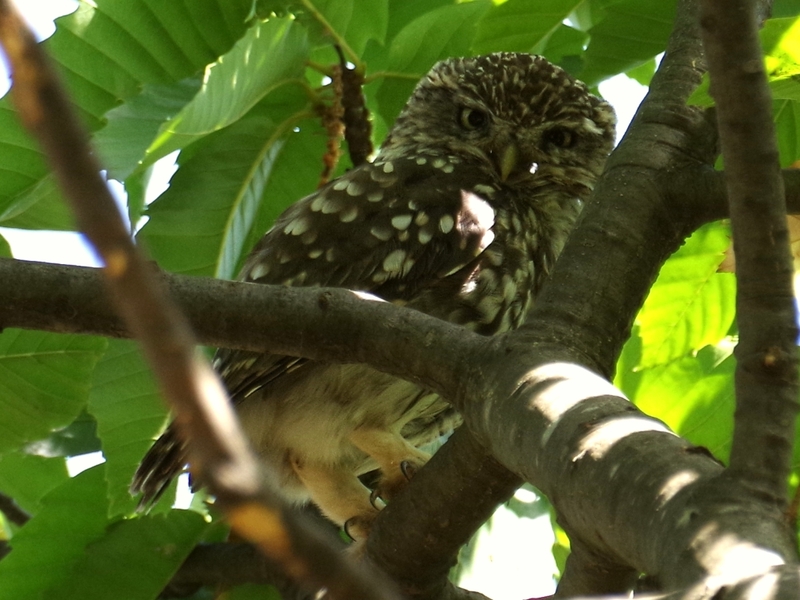 Her keen eyes spottted an insect some way off and she raced to grab it, then flew into a tree. The Little Owl at the leaf yard could be seen in his usual tree, though it took two visits to find him. 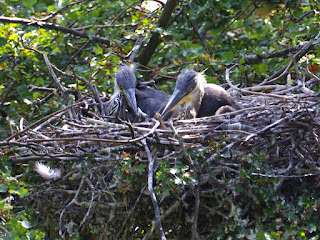 The young Grey Herons were sitting comfortably side by side in their nest on the island. Heron siblings seem to remain friends for some time. The two teenagers on the Serpentine are still happy in each other's company in a way quite foreign to hostile adults. At present they are usually hanging around the Dell or the Dell restaurant, though I didn't see them today. 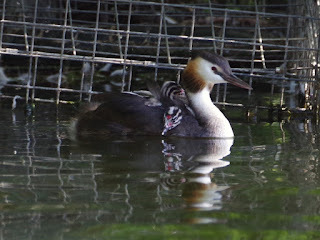 The new Great Crested Grebe family at the island were in exactly the same place as yesterday and the day before. 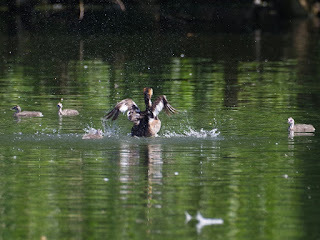 Grebe parents tend to be very static while the chicks are small, and only start moving to good fishing grounds after a couple of weeks. 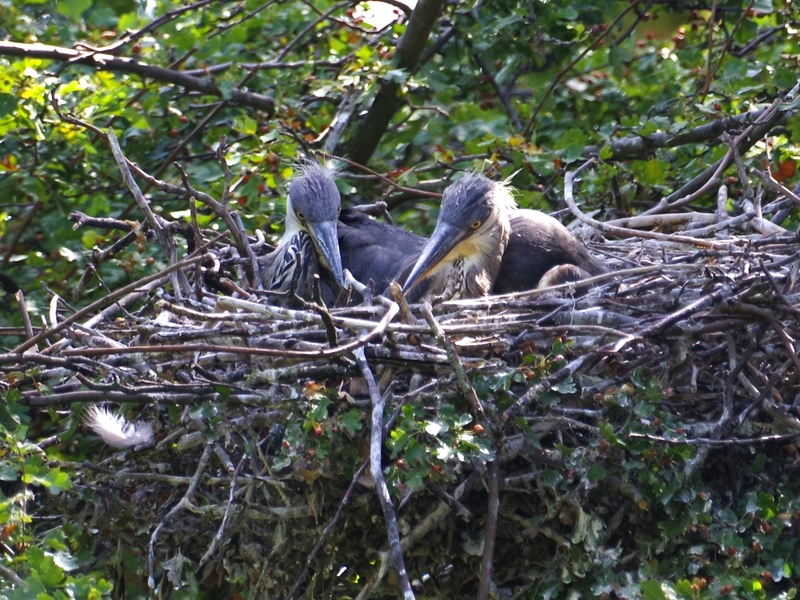 The family from the fallen poplar on the Long Water are now beginning to get around. 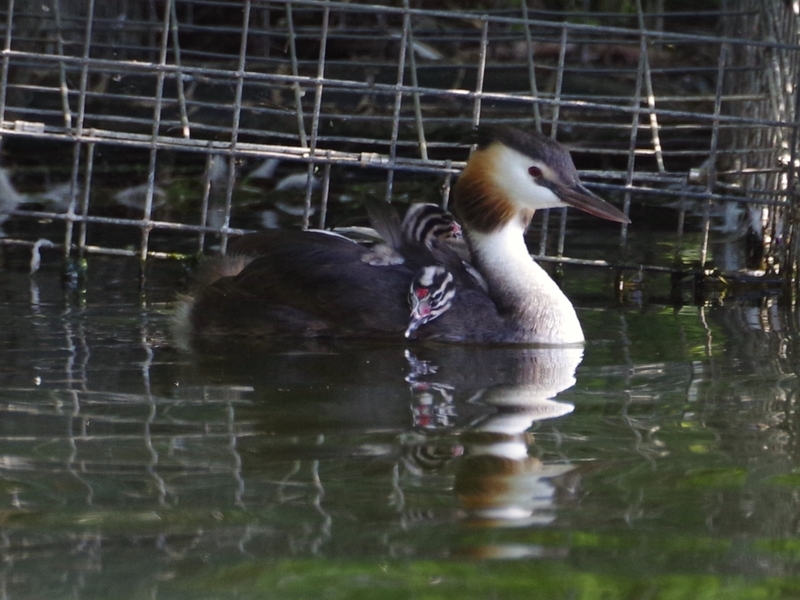 Their mother stood up to flap her wings, rather tattered by being used as a playpen for the chicks. 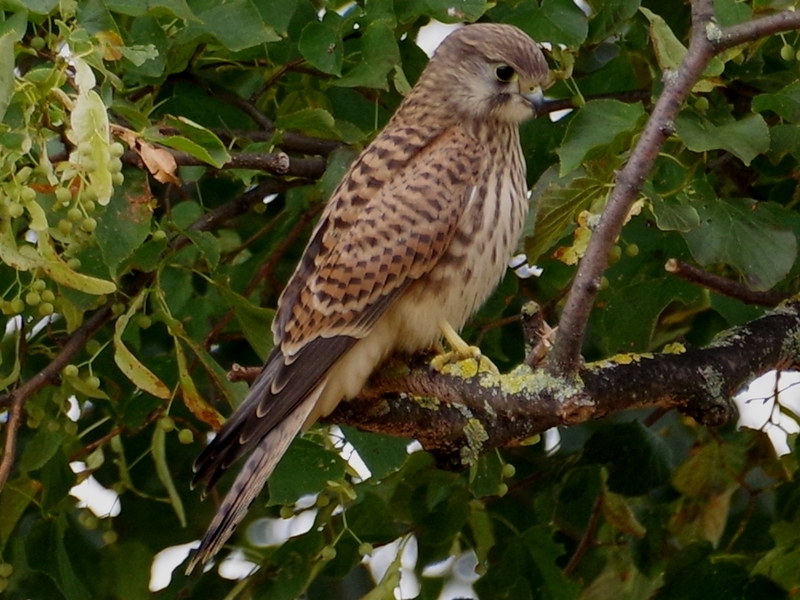 She will moult and grow new flight feathers in the autumn. 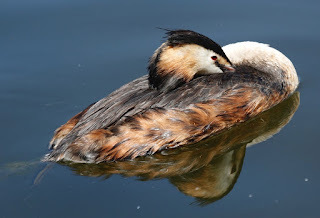 John Mealyer sent a pleasing picture of a grebe resting. The Coots at the Serpentine outflow were busy adding to their new nest. 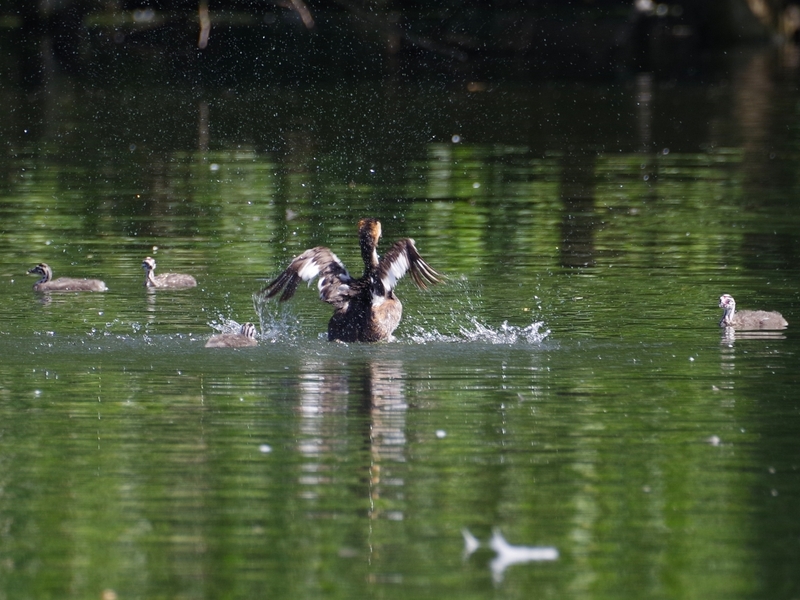 The chick under the weir was still calling, louder than before as it is growing. 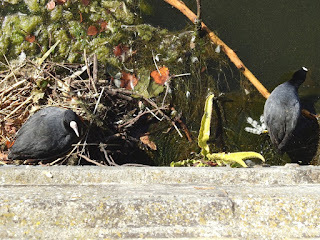 The small Moorhen chicks in the Italian Garden fountain have the same parents as the two teenagers from an earlier brood, which are now feeding themselves. All share the pool on friendly terms. 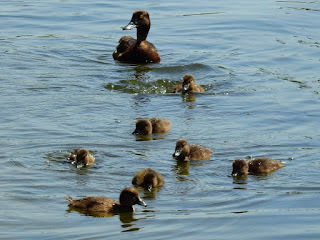 Two families of Tufted Ducks could be seen at the island. This is the smaller and slightly older one with seven ducklings. 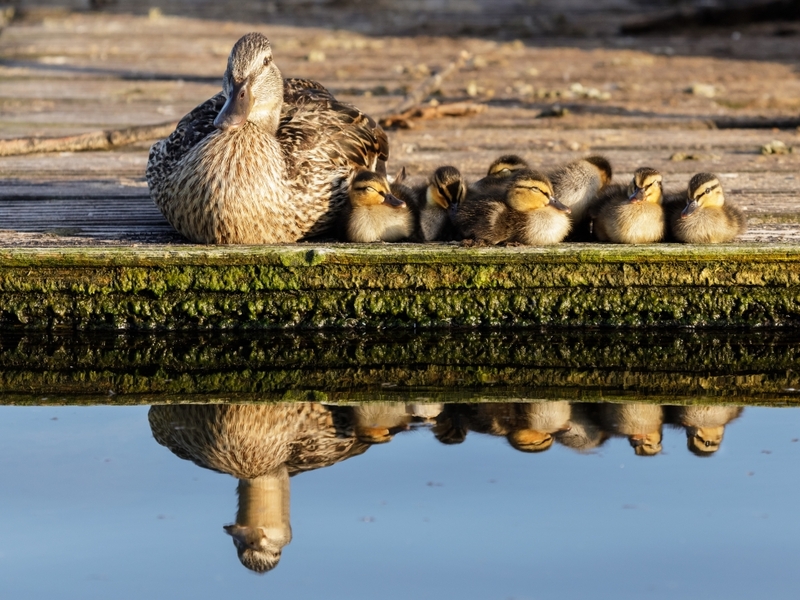 Virginia says that the Mallard ducklings on the Round Pond owe their quite good survival rate to being kept on the platform with the solar panel. The sloping panel gets in the way of swooping Herring Gulls. This is her excellent picture of the family a couple of days ago. 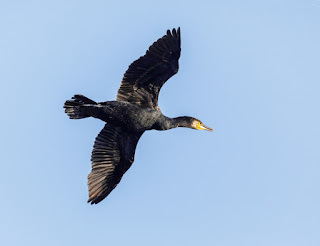 She also sent this picture of a Cormorant flying -- tricky birds to photograph as they charge past at high speed. 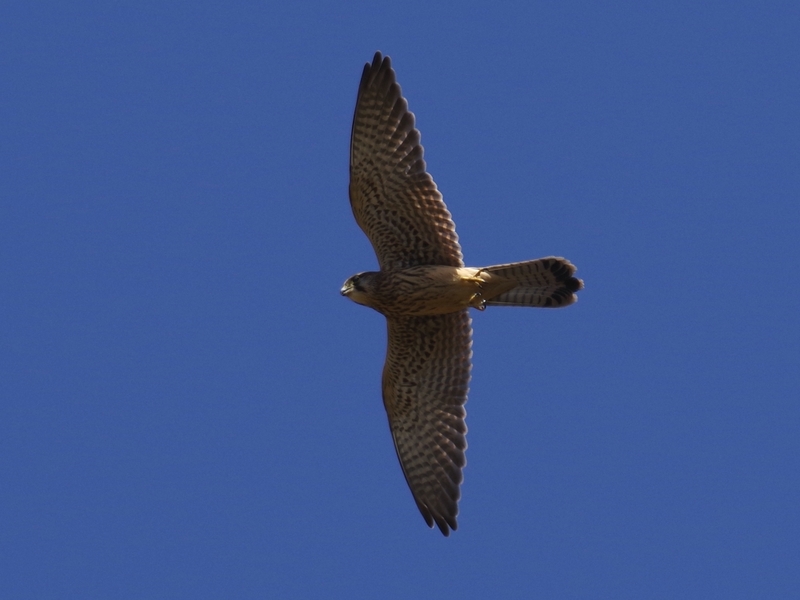 I love how the Kestrel trots up and down after insects. I had never seen that! John Mealyer's picture of the dozing Grebe would be the very picture to model a pair of slippers after. Thanks for pointing out that the videos hadn't embedded. Funny, I was sure they were OK when I checked the blog after completing it, but things do come undone sometimes. 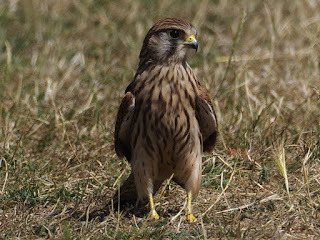 In the bright sunlight on the long grass it can be difficult, at a distance, to see whether you're looking at a female Kestrel or a Mistle Thrush. It's clear only when you're close enough to get an indication of size.